I can’t seem to get what happened in Dhaka, Bangladesh out of my head. Hundreds of employees lost their lives out of pure negligence. And for what? So that we can continue to buy 5$ shirts. Now I know I have been guilty of supporting companies (cough cough: Gap, H&M and Mango) that are contributing daily to this problem. I love getting a ‘great deal’ when I’m shopping! Makes me feel like I just won the lottery! But what does that ‘great deal’ really mean? Mass production… made in a sweat shop… horrific working environments… employees getting paid pennies for their work. Not such a ‘great deal’ anymore, eh? I know this issue can not be fixed over night, I wish it could, but we can start making a difference by simply changing and reevaluating our purchasing habits. So here is my challenge for you as you are out buying your summer wardrobe. THINK BEFORE YOU SPEND! Whether it means that you seek out a brand that is intentionally sourcing its products ethically. Maybe you pass on buying those $14 Forever21 jeans that I know you can live without. Think about what had to be sacrificed to be able to sell them at 14$. Or maybe you buy less so you can save for that dress that was handcrafted by an artisan in Bangladesh that is so proud of their work, because it truly is a work of art! All of these small changes are steps in the right direction, try just making one! On that note, I wanted to introduce a fabulous brand called Bachhara! 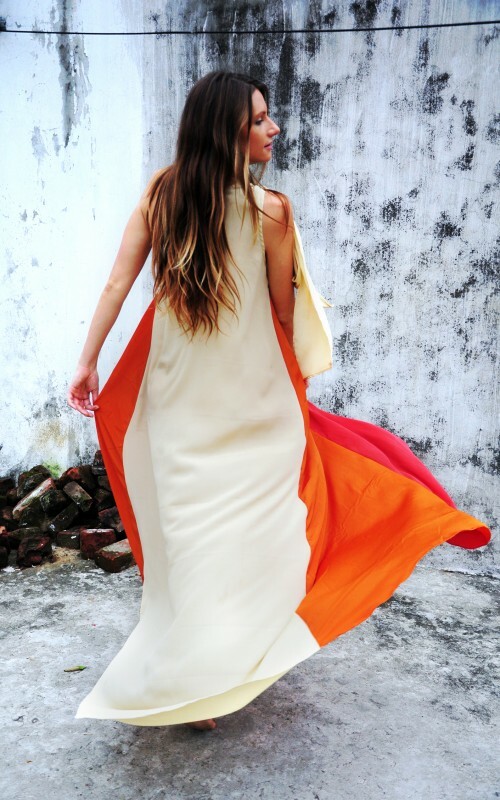 Bachhara is not only the perfect company to buy that dress you can wear to all your weddings and events this summer, but it provides sustainable income to each artisan/producer where there is very little opportunity for work. Bachhara employs women in the slums of Bangladesh which means that with each employment opportunity, children can be educated, meals can be provides, and healthcare can be an option! This is an amazing socially conscious brand to keep bookmarked! Make sure you check out their work and full collection! You could wear this anywhere!